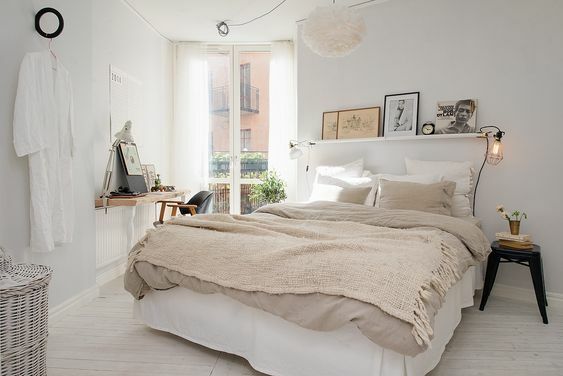 There's something very special about the Scandinavian-style bedroom, it is both minimalist, yet cosy and comfortable. 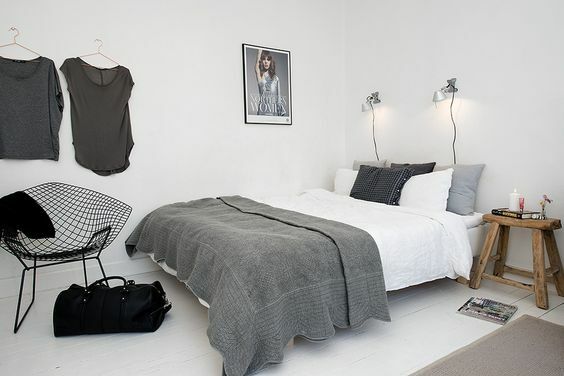 Here are my tips on how to create a Scandic-Style bedroom at your place. 1. Linen. You will notice that all of the above bedrooms have linen bedspreads, sheets and duvet covers. 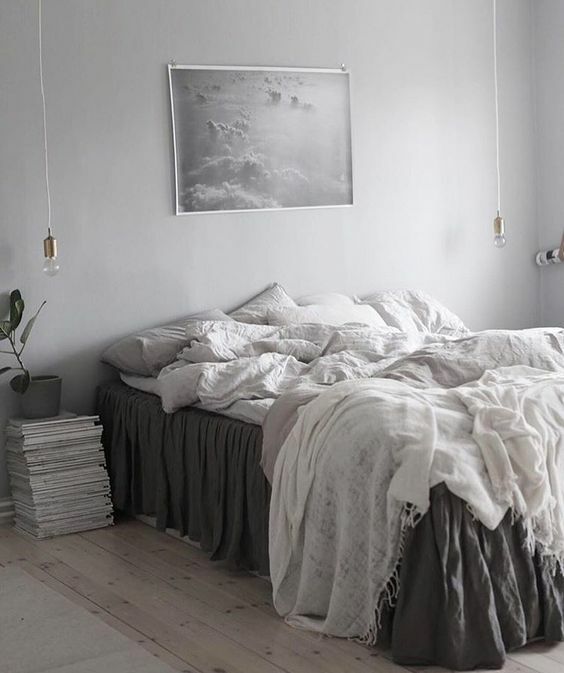 This is a key textural element to creating your own Scandi bedroom. We have a range of linen sheet sets in the most popular Scandinavian colour schemes available to update your bedroom. 2. Layered Throws. Another essential factor you will notice in all of the above pictures is that a layered throw is a must. Add a cosy throw to your bed - be it with our exclusive Swedish chunky merino knit, a Mongolian sheepskin or our textured moss stitch throw. 3. Pendant Lighting. You can easily and instantly change the mood of your bedroom with the addition of some new lighting. We have a range of cord sets and globes available to add some Scandi mood lighting to your bedroom. Simply plug in and hang from from a wooden wall bracket (I get mine from IKEA, the Ekeby Valter bracket for $5) or drape from a leather strap. 4. Cushions. Cushions are an easy and inexpensive way to change the look of your bedroom. I am a self-confessed cushion hoarder and love having a whole bunch of them piled on the bed at once (much to the confusion of my fiancé). We have just collaborated with our friends Lamb & Stein to design an exclusive cushion range of Scandi Linen Basics to add to your home, with colours selected by me. fixing a shelf above the bed (I got mine from Ikea for $7) and resting your framed prints on the shelf. I like this option because it gives me the flexibility to easily change up the space (which I like to do regularly!). 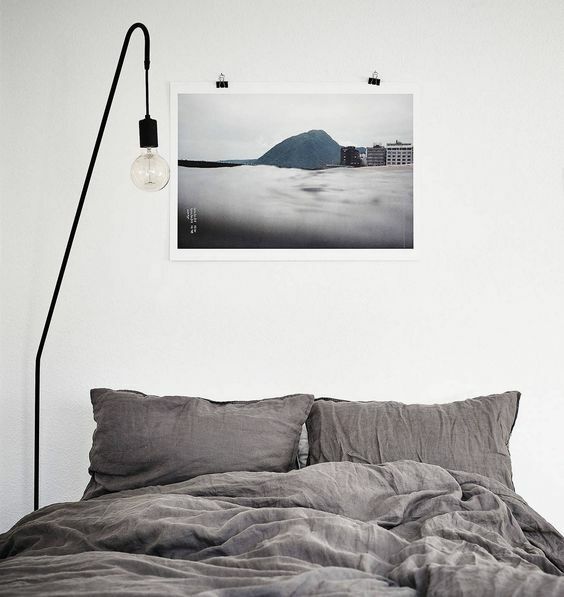 A square print directly above the bed held in place with pins and bulldog clips This is very Scandi - I love this idea because it super cheap, easy and looks cutting edge and again it is easy to rotate your prints without the need for framing. You totally intended not framing that print, right? try (carefully) tearing out pictures you like from coffee table books or fashion magazines. You can frame them in cheap frames or simply tape them to the wall with washi tape. Um site que nos favorece em diversos aspectos, trazendo os melhores resultados para a nossa empresa de pintura. This was a really great read thank you! Lots was in my head but this has helped me zone in on what I want to do for our bedroom makeover. 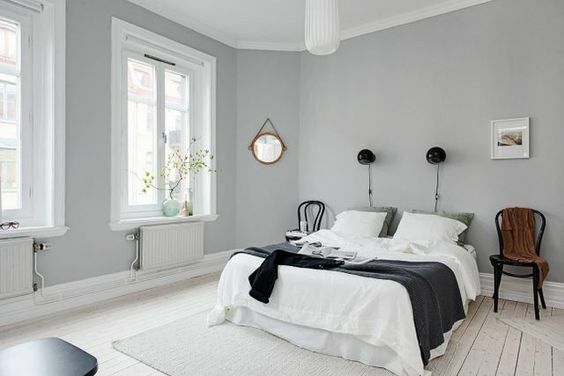 Scandi bedroom paradise here we come!